The UN survey shows an improvement in the global cybersecurity picture, but points out huge gaps in the level of cybersecurity in different regions of the world. The GCI report also notes that nearly 1 percent of all emails sent in 2016 were malicious attacks, the highest rate in recent years. In the wake of massive cyber attacks that have brought down hospitals, businesses and public utility systems in the recent past, cybersecurity is an imperative concern, one that demands a united global effort. 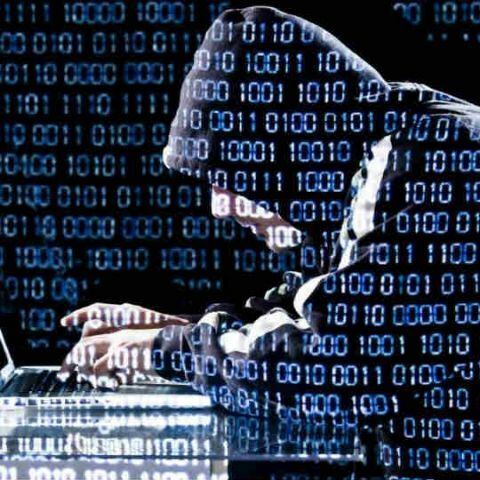 However, a UN survey released on Wednesday shows big gaps in the level of cybersecurity across 193 countries in the world. The International Telecommunication Union has released the Global Cybersecurity Index for 2017. ITU is a specialised ICT agency under the United Nations that is responsible for allocation global radio spectrum and satellite orbits, along with developing technical network standards. As per the findings of the Global Cybersecurity Index 2017 (GCI), India ranks 23 out of the 193 member countries when it comes to commitment to cybersecurity. GCI is a composite index that measures and compares the level of cybersecurity commitment amongst member states based on five pillars - technical, organizational, legal, cooperation and growth potential. The main objective of the Global Cybersecurity Index is to measure the type, level and evolution of cybersecurity in countries from a global as well as regional perspective. Singapore tops the charts with the highest level of cybersecurity commitment in the world, and in the Asia Pacific region. As per the report, Singapore has a long history of cybersecurity practices, dating back to 2005, when the country made its first master plan for cybersecurity. The U.S. comes in at the number 2 spot, with higher legal, organizational and growth potential factors than Singapore. Malaysia grabs the number 3 spot on GCI 2017, followed by Oman, Estonia, Mauritius, Australia, Georgia, France and Canada. This completes the list of top ten countries in the UN’s cybersecurity commitment list of a total of 193 nations. As far as India is concerned, GCI categorises the country in a ‘Maturing Stage’, which refers to countries with a GCI score between 50 and 89 percentile. A total of 77 countries fall under the ‘Maturing Stage’ category and are categorised as such because “they have developed complex commitments, and engage in cybersecurity programmes and initiatives.” India does well in terms of legal cybersecurity measures, but falls short on technical measures and cooperation due to the lack of standardisation, public-private partnerships and Integrity partnerships. In the Asia-Pacific, India takes the number 8 spot on the cybersecurity index for the region. Countries in the ‘Leading Stage’, i.e, those that demonstrate a high commitment in all five pillars of the index include - Singapore, US, UK, Australia, Japan, Canada, France, Russia, Oman, Korea and more. In its report, the UN notes that while the overall global cybersecurity picture showed improvement in the year gone by, there is still space for further cooperation, capacity building, and organisational measures. The GCI report finds that there is still a huge gap in the level of cybersecurity between different regions of the world. 2016 was a year full of cybersecurity breaches and attacks. The GCI report also notes that nearly 1 percent of all emails sent in 2016 were malicious attacks, the highest rate in recent years. The average ransomware demand shot up over $1000 (Rs 64,765) in 2016, up $300 from 2015. GCI also recognises WannaCry as one of the largest and most alarming cyber attacks this year.